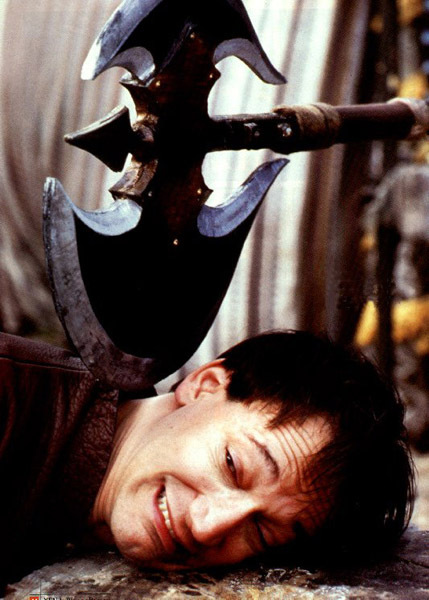 THE XENA SCROLLS: An Opinionated Episode Guide (215 & 216) | THAT'S ENTERTAINMENT! I featured this episode as #4 on my list of the 60 best episodes. Read my thoughts here. While engaged in a battle of wills with her son, Cupid, Aphrodite turns Joxer into a dashing war hero tasked with stealing a princess’s heart away from her betrothed. For those in the fandom who detest the sight of Joxer and dread any episode in which he is featured prominently, this installment will be among your least favorites. For those who appreciate the humor and heart he brought to the series, this may very well be one of your favorites. I, personally, identify with the latter group and find this episode highly entertaining. 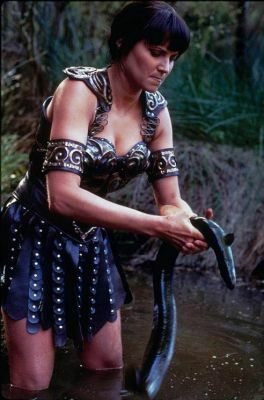 One of the scripts written around Lawless’ accident, this is one of those episodes in which Xena appears briefly in the opening scene and briefly in the final scene. As I’ve written on the blog before, any episode that doesn’t center upon our titular heroine has to work extra hard to convince us (and myself, in particular) of its merits. 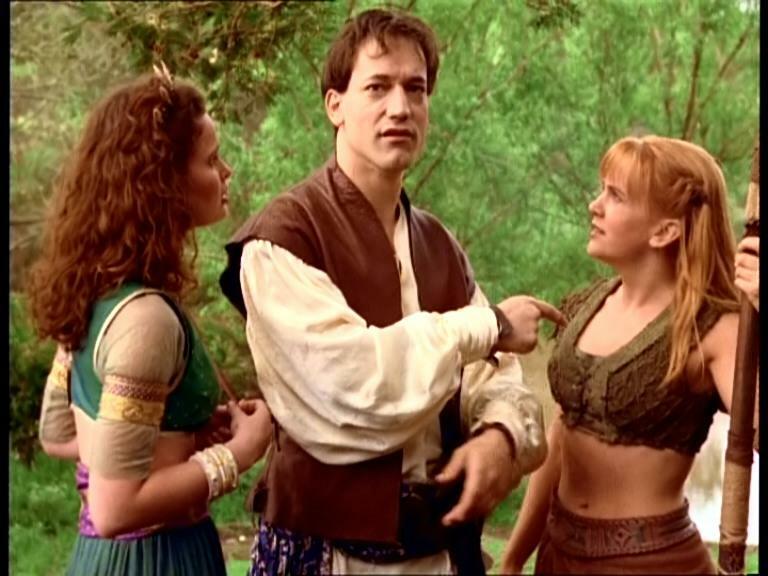 Fortunately, this episode is quite amusing, and it features the Xena debuts of Aphrodite and Cupid, two mythological figures who had already appeared on Hercules. (For fans of mythology, this episode may appeal a lot to you, especially since Aphrodite is presented at her most petty — closest to the representation offered by the Ancient Greeks.) Additionally, Renee O’Connor steps up to plate and turns in a wonderful performance that illustrates how far both actress and character have come thus far in the series. 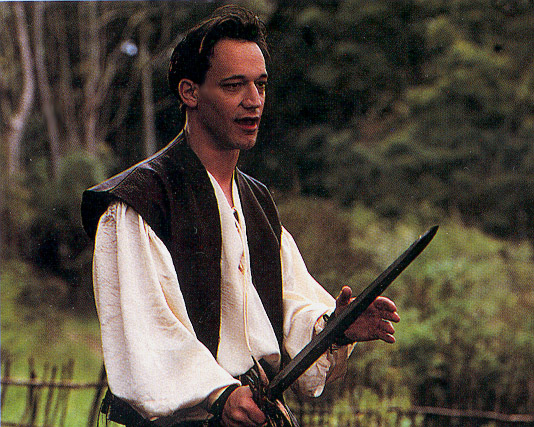 And, naturally, as the episode is centered around Joxer, this is a Ted Raimi showcase with moments of comedy and pathos afforded to the series’ most notable buffoon. It truly is a great show with a fun premise. 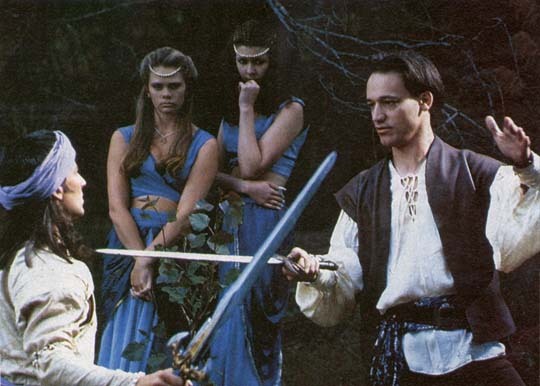 But, since the story has nothing to do with Xena’s quest for atonement, the episode simply can’t stand among the best (or even mediocre) episodes that hit upon this central thematic construct. 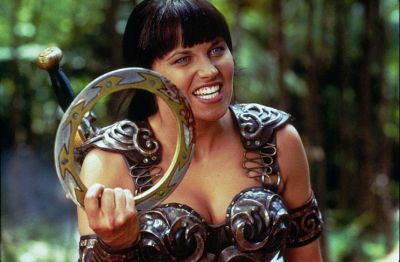 So, though an entertaining excursion, it just isn’t comparable to classic Xena. Take it for what it is, however, and you’ll be pleasantly surprised. Come back next Thursday for more Xena! And tune in tomorrow for another Clark Gable Pre-Code!